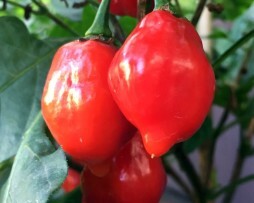 Red Habanero chillies are one happy looking bunch. 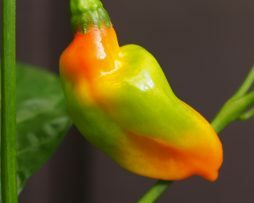 They have colourful skins that ripen from green to yellow and then orange to red as they mature. They are relatively small, shinny and have waxy skin. 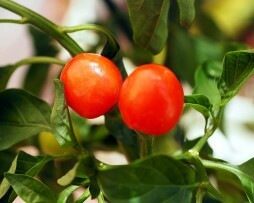 But as much as their looks are inviting, they are among the hottest chilli peppers commonly grown in the world. Incredibly fierce. 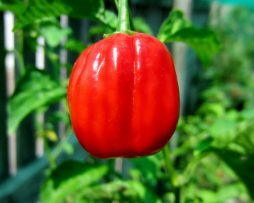 The red Savina is by far the hottest of the Habaneros and was the hottest in the world from 1994 until 2006, a long time in the chilli world! 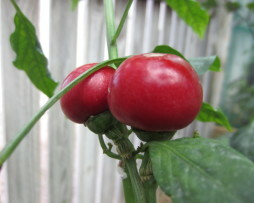 They ripen to a wonderful bright red colour and are very fruity. 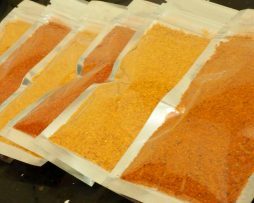 There are very popular and very versatile when it comes to using them in cooking. Typical hab flavour with extra heat. How can you go wrong? 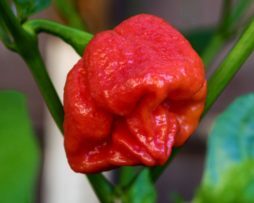 One of our favourite Habanero types is the SBS Demon Hab. Now we present it to in the Chocolate variety! It tastes exactly like chocolate!….actually it does not taste like chocolate at all, but it got your attention! What it does taste like is rich and fruity. It is also fiery hot so will not let you down if you love to burn. If you love the original SBS Demon, you will love this too! 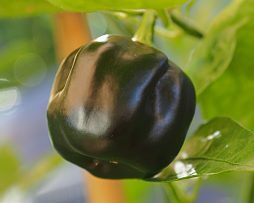 Raphael Alber has created a few amazing varieties but this is by far one of our favorites. Obviously this one is a cross but with what is still a bit of a mystery. It doesn’t matter because this one is a winner for taste and looks. It’s hard to describe the flavour but there are hints of berry / cinnamon undertones. Better than any other chocolate chilli variety we’ve tasted. It gives a very pleasant all over mouth burn and subjectively seems around the habanero heat level. Pods look great and start out a dark olive green with grooves before ripening to a unique matt chocolate finish. Would be sensational powdered we think and we will be drying ours for sure. Can’t recommend this one enough. 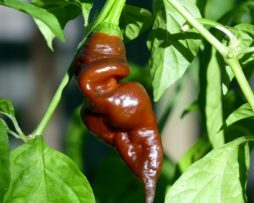 The Tepin or Chiltepin is from Mexico and is the official chilli pepper of Texas. 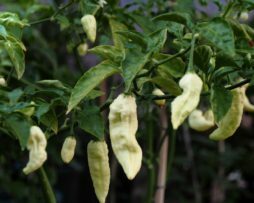 It’s one of the oldest chillies in the world. Jesus would have been snacking on this one. In fact, word has it that it dates back around 7000 years! It has a very hot mouth burn but luckily it dies away fairly quickly. Widely used in cooking Mexican food. Trinidad Beans is a real cutie. The fruit are shaped like a peanut and pack a serious punch for their size of 2cm x 1cm. Originating from Trinidad they have a strong sharp Trinidadian aroma and a clean taste with no bitterness at all. They ripen in a very unique motley way finally turning a beautiful shiny red. 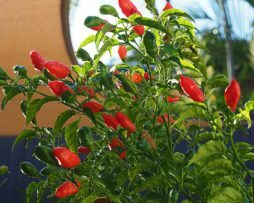 Another relatively productive chilli plant growing to about a foot tall. 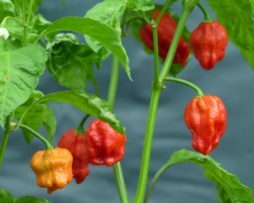 If you like cute uniquely shaped chillies that have great cooking versatility this is one for you.